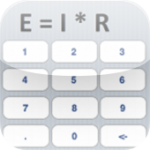 This calculator will calculate unknown values for voltage, current, resistance and power. 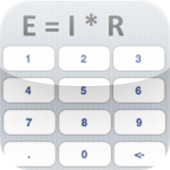 It will also automatically change the SI unit of measurement of the answer as appropriate, e.g. kVolt, mWatt. MOhm, etc. There is a training video in the reference section that explains how to use Ohm’s law to solve electrical problems and the use of the calculator.